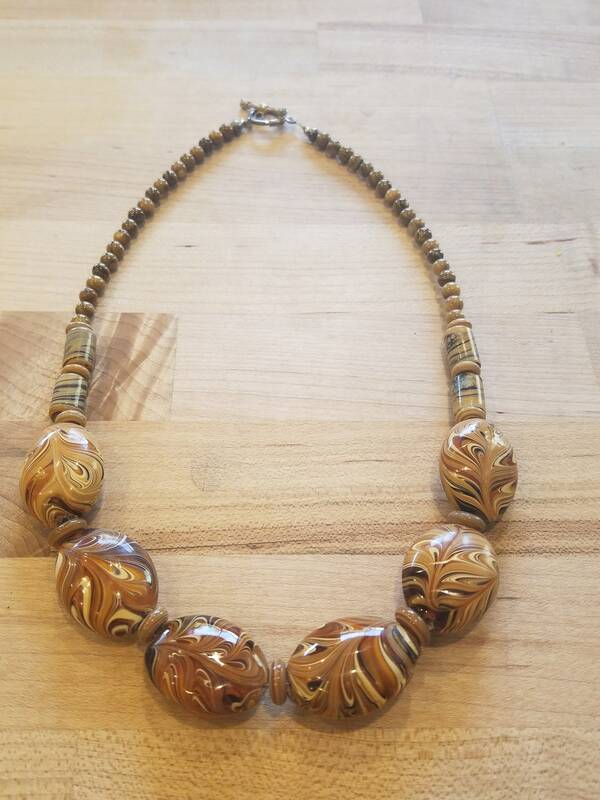 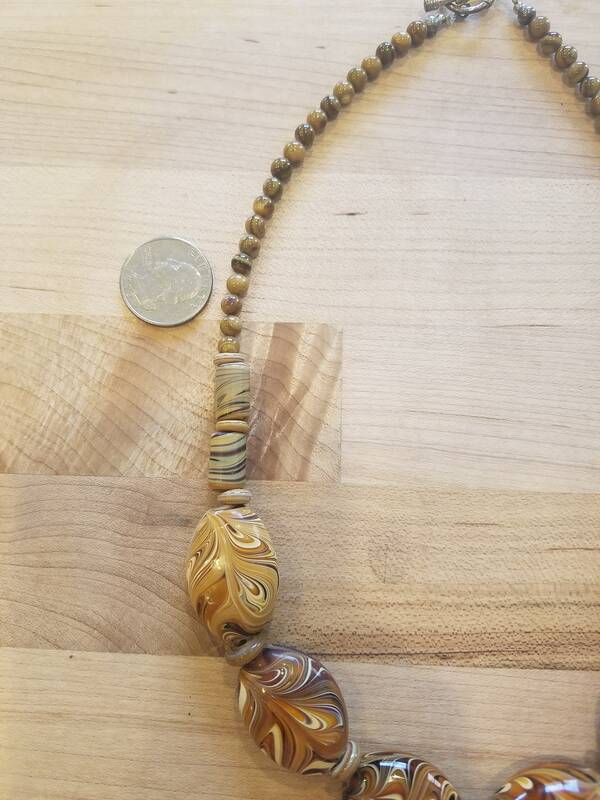 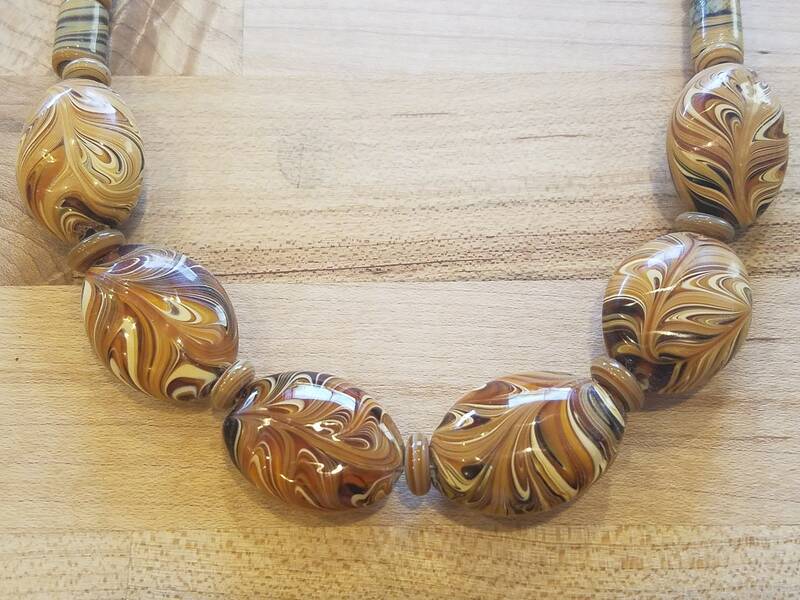 Pretty glass beaded necklace with swirls of dark brown, light brown, cream, and beige. 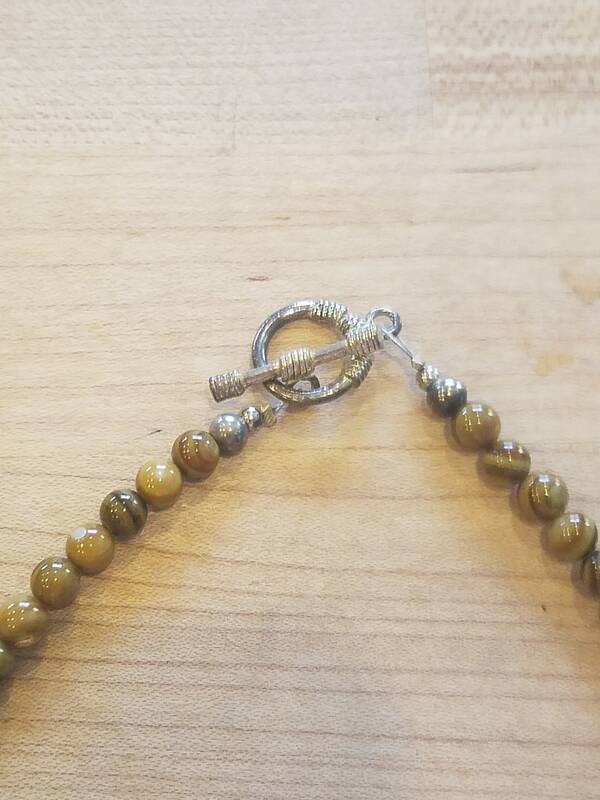 Easy clasp. 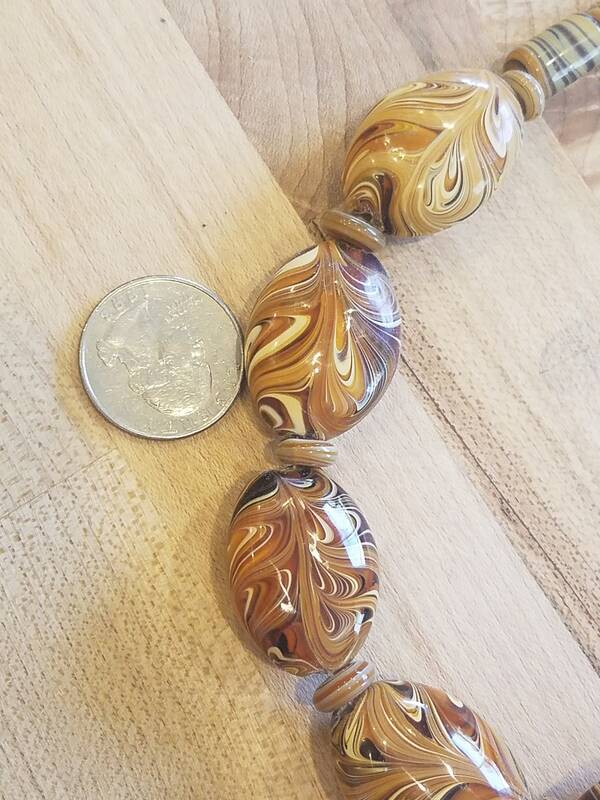 20 1/2 inches long.